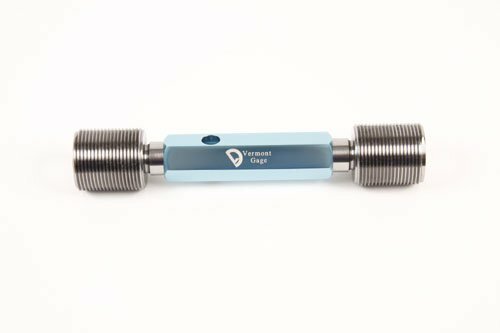 Vermont Gage's thread gages inspect the pitch diameter and the functional thread for both internal and external threaded products. 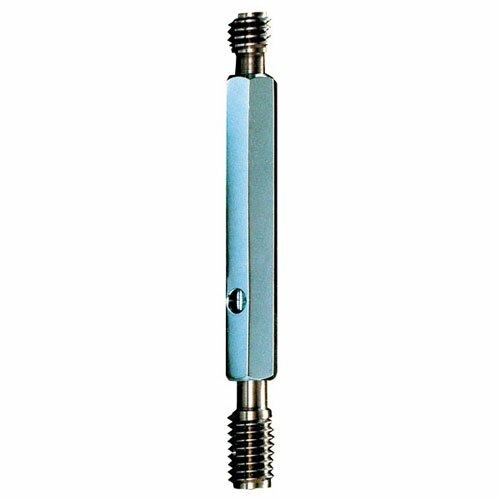 All thread gages are marked with nominal size, class of fit and pitch diameters. 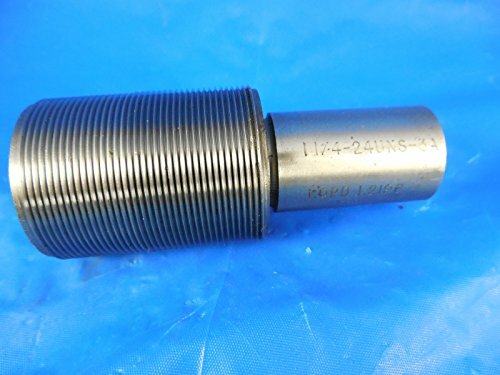 VERMONT GAGE Taperlock Thread Plug Gage - STYLE: NO GO CLASSIFICATION: 2B NOMINAL SIZE: #4 (0.112") THREAD TYPE: UNF TOLERANCE- CLASS X:177;0.0001"
VERMONT GAGE Taperlock Thread Plug Gage - STYLE: NO GO CLASSIFICATION: 2B NOMINAL SIZE: 1" THREAD TYPE: UNC TOLERANCE- CLASS X: ±.0.0001"
TTC Taperlock Thread Plug Gage - STYLE: Go/No Go CLASSIFICATION: 2B NOMINAL SIZE: 9/16" THREAD TYPE: UNC TOLERANCE- CLASS X: .0.0001"
TTC Taperlock Thread Plug Gage - STYLE: Go/No Go CLASSIFICATION: 2B NOMINAL SIZE: #5 (0.125") THREAD TYPE: UNF TOLERANCE- CLASS X: .0.0001"
TTC Taperlock Thread Plug Gage - STYLE: Go/No Go CLASSIFICATION: 2B NOMINAL SIZE: #5 (0.125") THREAD TYPE: UNC TOLERANCE- CLASS X: .0.0001"